PSKD (Simple Access Control Reader) is designed for companies which want to build access control system in quick and simple way. The Reader is fully autonomous and its work does not depend on communication. All necessary information is kept in internal controller's Flash memory. Communication is made by separate thread and does not influence the reader's work. Additionally, all events (read tag, change input state) are recorded in the internal Flash memory. The device can work in three modes: CARD, MANAGER and SERVER. 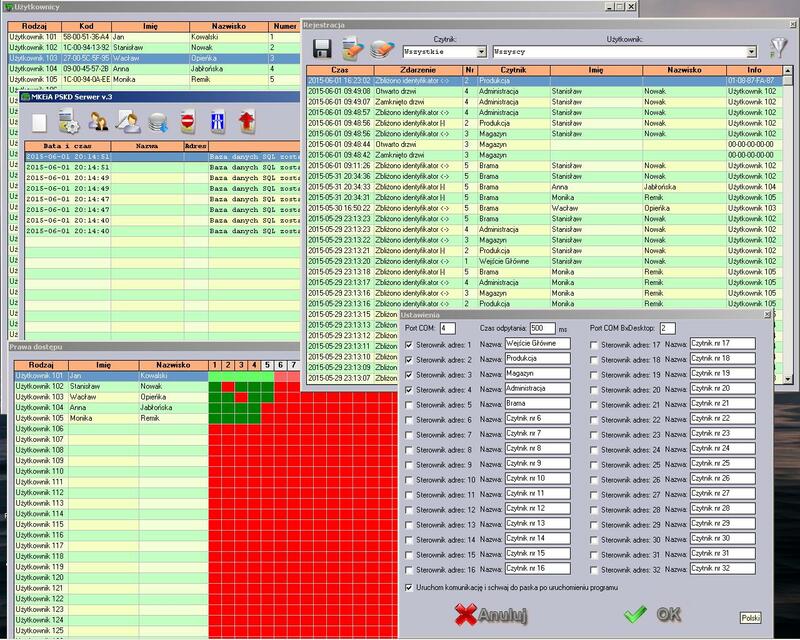 The first one CARD, using a special preprogrammed cart SERVICE, allows to write up to 100 users tags in EEPROM memory and configure all reader's settings. In the second mode MANAGER, using PSKD Manager application and RS485 interface, it is possible to fully manage the reader. This management consists of read, write or erase tags (1024 in Flash memory +101 in EEPROM memory), add or delete information about the user (name, number, description), configure settings, read all recorded events (read tags, change input state), etc. 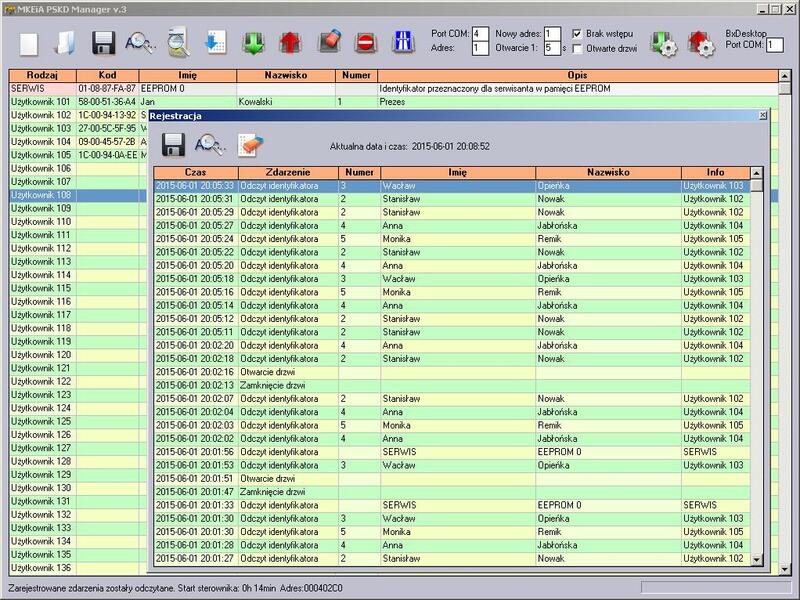 The last mode SERVER with PSKD Server application enables to manage users, access and continuous reading of status PSKD controllers group on one serial port (up to 32) and to records all events in SQL database. The data stored in SQL database can be easily processed according to customer requirements. PSKD reader can read EM-410x tags working in 125kHz bandwidth which are commonly know as Unique. The device is equipped with one passive relay output (close and open contact) and maximum load can not exceed more than 0.5A. This output can be used to control an electro-locker. 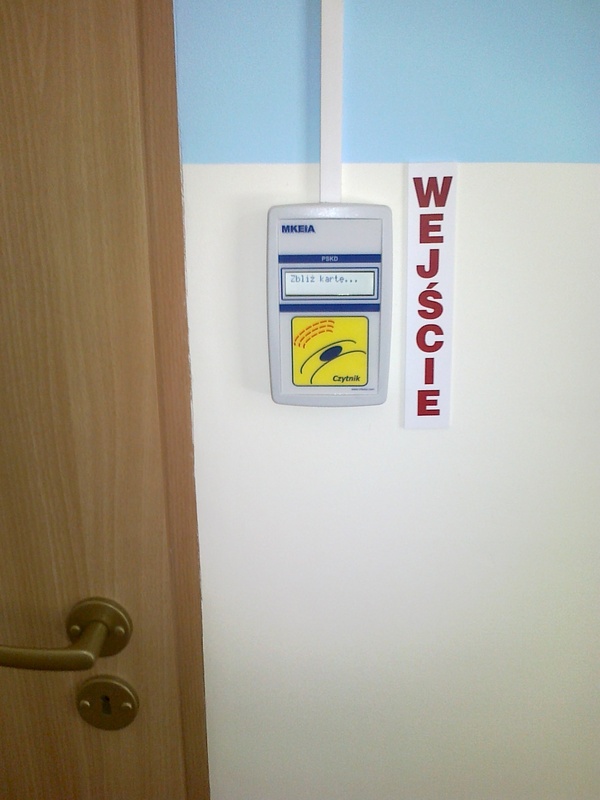 Moreover, the reader has an input which can be used to monitor opening or closing a door. PSKD is equipped with sound beeper as well. The buzzer signals tags reading or can notify about unclosed door. 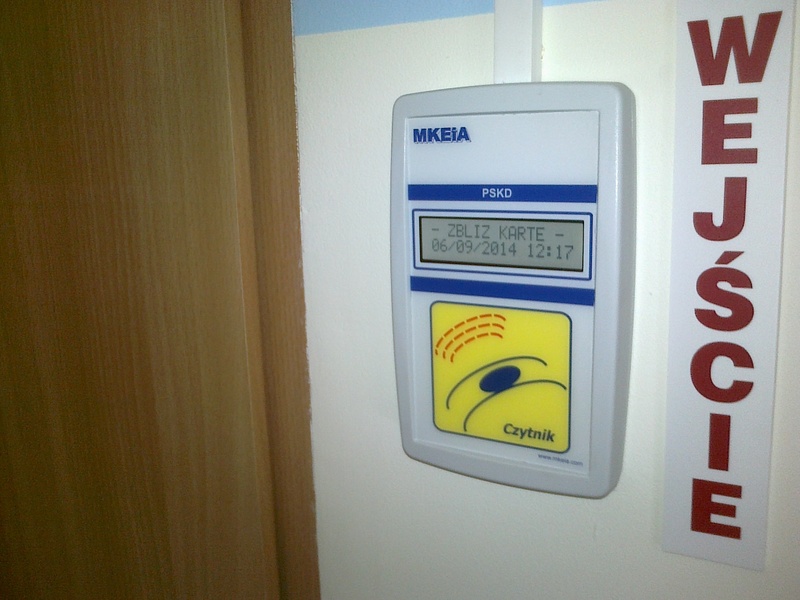 A LCD display 2x16 symbols shows all necessary information during PSKD work. The device can be supplied in wide range from 8V to 30V. A plastic case made of ABS 151x93x25mm is adjusted to mounting the reader on the wall using two screws. The case has a hole to put wires inside. On the front, PSKD reader is protected by esthetic looking plexi with inscription.